“Hauerwas, professor of ethics at Duke’s Divinity School and an authority on biomedical ethics, has written a consensus-shattering volume. Arguing forcefully for a radical reexamination of the assumptions of personal freedom, self-determination, and the utilitarian “bottom line” that pervade current bioethical decision making, he demonstrates how profoundly medicine and theology are intertwined when we address the human experiences of mortality, tragedy, and finitude. 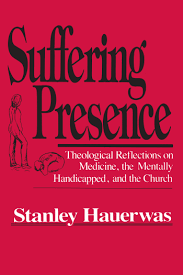 Hauerwas’s own bottom line is clear: ‘a humane medicine is impossible to sustain in a society which lacks the moral capacity to care for the mentally handicapped. '” From the publisher.